Drawing of Ching Shih circa 1836. 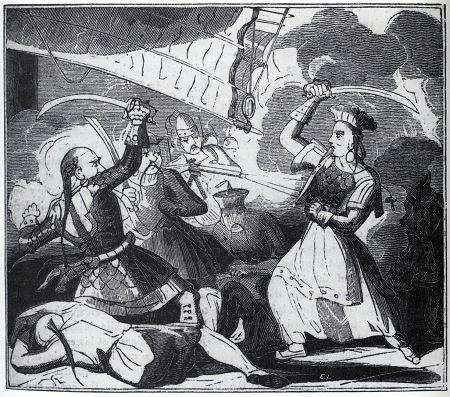 The image shows Ching Shih looting and plundering alongside here pirates. 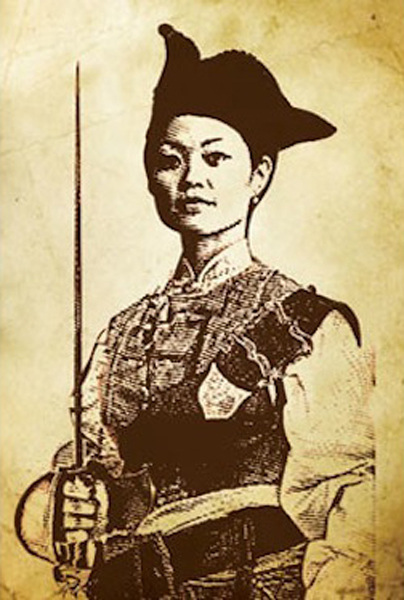 There are very few images of Ching Shih. It is titled "Looting of Cheng I Sao"
This image shows Ching's strength and fearlessness and provides insight into the life she lived. A popular image of an artists impression of the Ching Shih. She is shown in what was described to be her common clothing holding her sword. Ching is thought to have been very beautiful, which was why her first husband wanted to marry her in the first place.